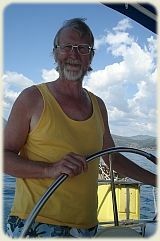 We had a such a great time on our first sailing flotilla holiday that we decided that one day we would have another go. However Mr.S. as the skipper decided that it might be better with some more crew so that Mrs. S. could concentrate on the relaxation and decorative aspects of ship board life. It didn't take much persuading for Daughter and Son-in-Law to take on the challenge. So it was off to the Sailing Holidays brochure to get it sorted. Where and When Shall We Go? Good question to ask ourselves. 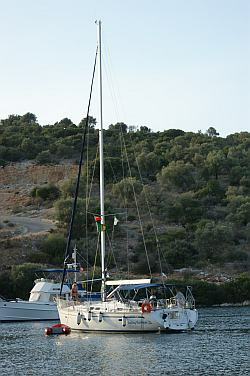 A quick phone call to the Sailing Holidays booking team soon had a 33 foot Beneteau at our disposal for the chosen time. In their usual way they said that we would have no problem with a bigger boat even though half of the crew had no boating experience other than the odd pedalo ride. We were not so sure when they later phoned to offer a cheap upgrade to a 36 footer - more room and comfort. Could we handle that ? No problem! 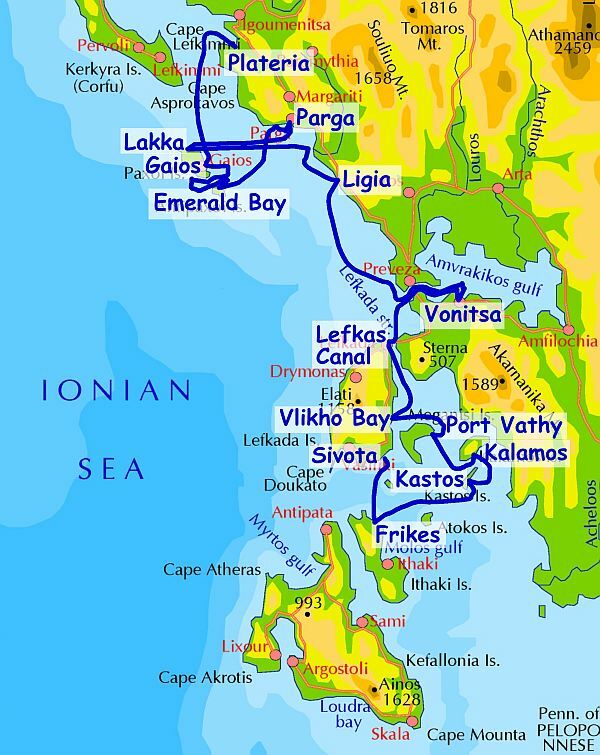 The sailing flotilla route we booked was the whole Ionian starting at the sailing base of Plateria and sailing south though the Lefkas canal and finishing at Sivota from where we based on our previous trip. This meant that the latter half of the adventure would be covering known territory, we were looking forward to that. As we were off to an early start from Gatwick we decided to stay overnight at the Travelodge by Gatwick. Not good! The rooms had triple glazing to keep the noise out - fair enough - but the air conditioning sounded like someone hitting saucepans with a hammer and it did no cooling. The windows were un-openable so we just had to sweat it out. We didn't mind too much as we were excited about going on holiday. The flight landed at Preveza with the usual long wait for the suitcases but eventually we were on the transfer coach taking us to our yacht 'Kismet', it seems that this means 'Fate'. Quick unpack and off for some cold beers and the shops to provision the cruise. The first meal as ever was difficult as we wanted to try all our favourite Greek food. It ended up with Tzatziki, Gigantes, small fish and spag. bol. After a good sleep on the yacht, the next morning saw more provision trips, souvenir fleece buying (very useful later in the trip) and sailing flotilla briefings. The girls came back from their shopping very pleased as the lady in the food shop liked them so much that she gave them some ouzo glasses as a gift. Typical Greek friendliness. The glasses also proved useful. We stocked up on fruit from the veggie truck that was parked just by the harbour. The first sail was across to Gaios on Paxos. Unfortunately it was a bit rough and windy and most of the crew were getting a tad queasy - not a good start. 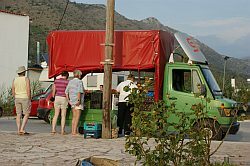 We had few days of rather exciting weather as we travelled around to Anti Paxos, across to the mainland at Parga, in to Vonitsa and then down through the Lefkas canal to the familiar waters of the South Ionian. All round we had a good time on our second sailing flotilla. 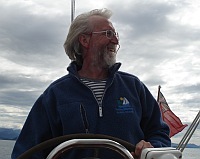 We were a bit surprised by the weather but it did not put us off a late season sailing. Click the map to see our route and follow links to describe the various adventures in each location.